When it comes to any beloved series, all fans have their favorite character. When it comes to Harry Potter, all fans are quite passionate about defending their favorite character. My favorite character is Professor McGonagall, which I’ve learned is not a popular opinion. Throughout the series, particularly in the books, Professor McGonagall disses Umbridge with sass, acts like the only adult in the room full of hundred-year-old wizards, stuns us with her skill and skill and puts her money where her mouth is. All of that makes me wonder: why isn’t she on more fans’ radar? Today, I’m delving in deeper on each of those characteristics to show you why Professor McGonagall is the most underrated Harry Potter character. Professor McGonagall is by far the sassiest character in the entire series (even more so than Ron during his angsty phase). I don’t feel like the movies have done their best to capture her sass, but you’ll find it throughout all of the books. Remember the iconic scene from the movie Harry Potter and the Order of the Phoenix where Umbridge and McGonagall are facing off in a sass-off on the staircase outside of The Great Hall? McGonagall is five times sassier in the book during that same scene, if you can imagine that. In the earlier books, she, along with her sass, makes more appearances that not only show how freaking cool she really is but have you holding your breath while she dishes out some sass. Something that adds to her sass? Her pointed wizard hat with the iconic feather. Get yours here. It’s no secret that for hundreds of years women have often had to be the voice of reason in a room full of men. Professor McGonagall, who is often in rooms with men who are hundreds of years old, is no exception to these women. Take the Triwizard Tournament for example. Harry’s name had just been chosen by the Triwizard Cup to become the second Hogwarts champion, the fourth overall champion. Professor McGonagall is then called in a room with Dumbledore, the Minister of Magic, the Head of the Department of International Magical Cooperation and Professor Snape (who frankly has no business being there). The men in the room are discussing ways Harry could participate in the tournament and legality of it all. Professor McGonagall, the wonderful voice of reason she is, raises her voice and demands that Harry not be allowed to compete – he’s just a boy. Just a refresher for context: Harry was just 14 at the time and the Triwizard Tournament is meant for of-age wizards in school. Wizards have also died while competing in this tournament. See what I mean? McGonagall: the voice of reason. We all know Sirius as the infamous Animagus who could turn himself into a scruffy, black dog. While we had more experience with Sirius as an Animagus, he was far from the first one we were introducing to in the series. Professor McGonagall is an Animagus who can turn into a cat. What is even more unique about her situation as an Animagus is that she went about doing so legally. We know that James, Sirius and Peter Pettigrew went about becoming Animagi illegally as a means to be there for Remus during his monthly transformations while they were students at Hogwarts. Professor McGonagall went through the bureaucratic Ministry registration and other nonsense to become properly registered as an Animagus. In case that didn’t impress you as it stands, there are only a handful of registered Animagi (Rita Skeeter, is not one of them). Practice casting your own spells with this replica of McGonagall’s wand. Threats from Minerva McGonagall are few and far between. That being said, when you hear one or worse, are on the receiving end of one, you know she means business. From Dolores Umbridge to Professor Snape to the Death Eaters knocking on Hogwarts’ gates, they’ve all been on the receiving end of McGonagal threats. We know how it ended up for those folks. The moral of this story is short and sweet: don’t mess with Professor McGonagall. Previous articleQuidditch Jersey Giveaway with Lottie Lumos! 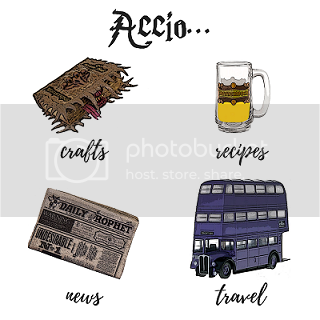 Next articleHarry Potter Easter Baskets! Professor McGonagall has always been my fave too! !